What a collegial and warm group of people. 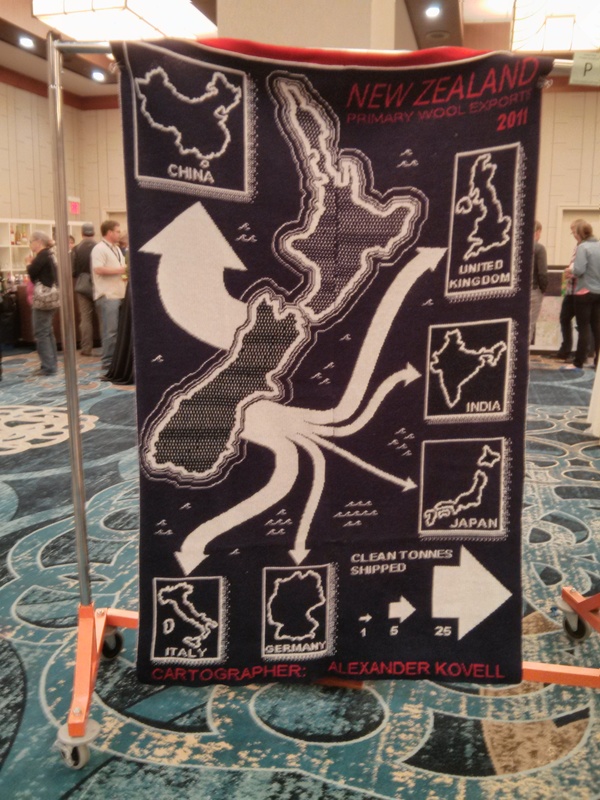 NACIS was a very welcoming community, an interesting mix of private industry geniuses (ahem, Mapbox, Stamen, Vizzuality etc. ), academics, students, National Geographic cartographers, and typically some serious Federal representation (although largely absent this year, a notable exception being Mamata Akella from NPSMaps who is technically not directly employed by the Feds and so was allowed to attend anyway). As someone who spent the better part of a decade in the academic sector, it was fascinating (and comforting) to be back among (largely) introverts. I would, however, argue the Nat Geo Cartographers were generally an exception to the introversion, but really pleasant and interesting folks as well. Also, Andrew Hill from Vizzuality was there, so I picked his brain on features coming down the pike (including better Torque support, including a GUI soon), and bugged him to add pgRouting to the back end of CartoDB… . He seemed receptive to this, and suggested following up under CartoDB support. All the presentations were great. From a very tech-practical standpoint, I enjoyed Carl Sack’s presentation on D3. It was a great intro to D3js, and really got me over the basic barrier to using D3– getting the data in. The TL;DR– order matters in the use of the API, queue.js is mighty useful, and all the data manipulation needs to go in the callback function to ensure your D3 goodness isn’t sunk by asynchronous execution. My presentation went well. There were lots of questions about a project we’ve been working on for our public web interface to help people find trails, parks, picnic areas and other parky amenities. We just posted the code for the project to GitHub (https://github.com/cleveland-metroparks/trailsforthepeople) and I’ll have my slides posted from the presentation shortly. It was really great to connect with others working and starting to work in similar spaces of parks and recreation mapping. I am already enjoying the follow-up and hope this builds in to a large spatial/web community servicing this sector.